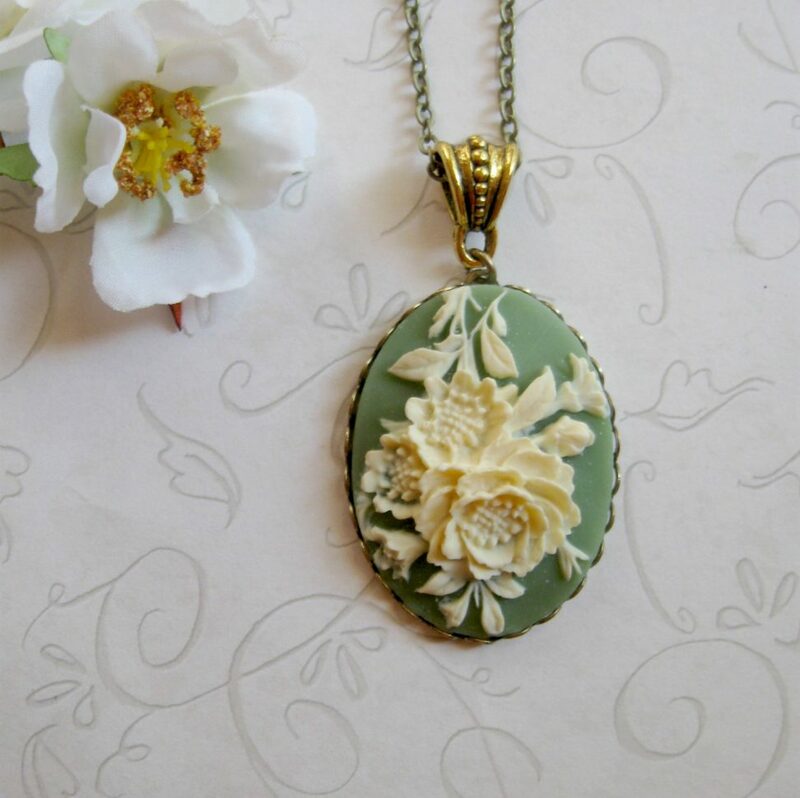 Here is a lovely cameo necklace featuring a sage green floral cameo, set in an oxidized brass setting. 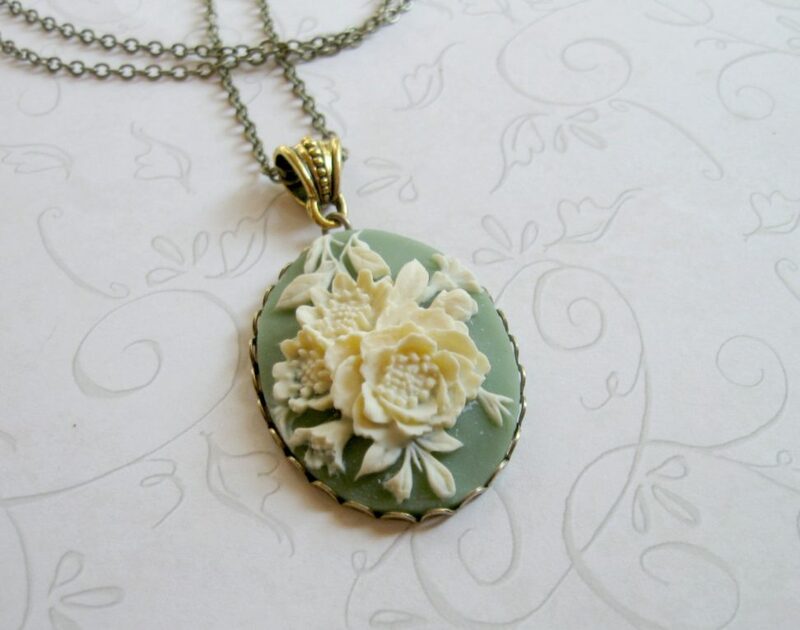 This vintage style cameo has an ivory colored roses with nice detailing. 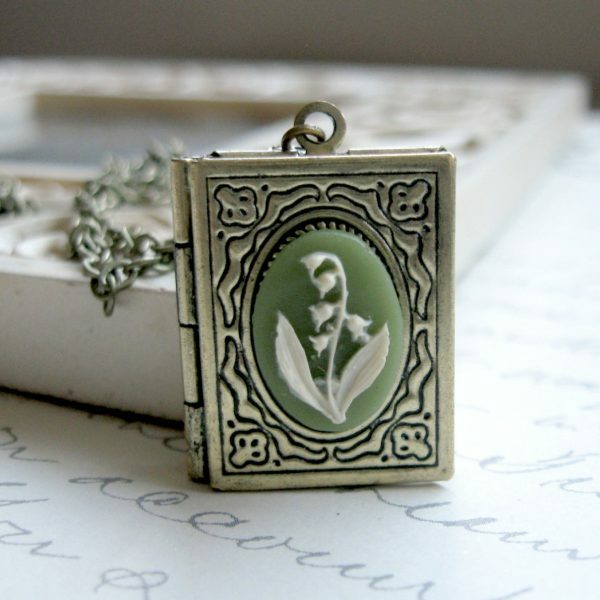 This pendant is suspended from an antiqued gold plated bale and comes on a long style brass chain. 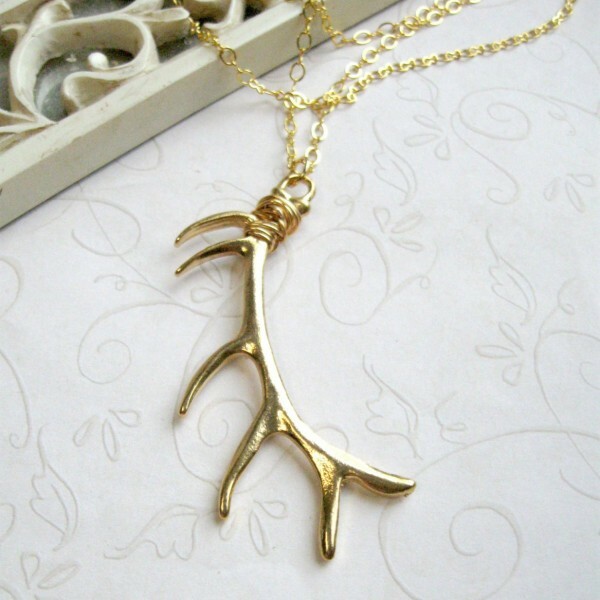 You may select your desired chain length from the drop down menu. 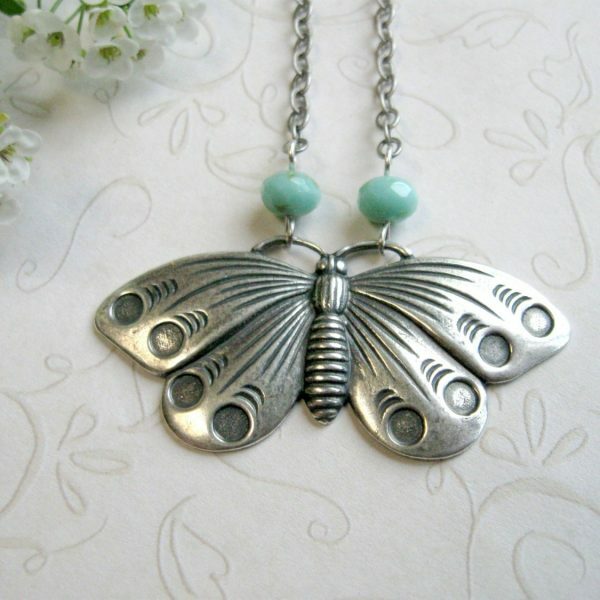 This necklace is perfectly pretty!